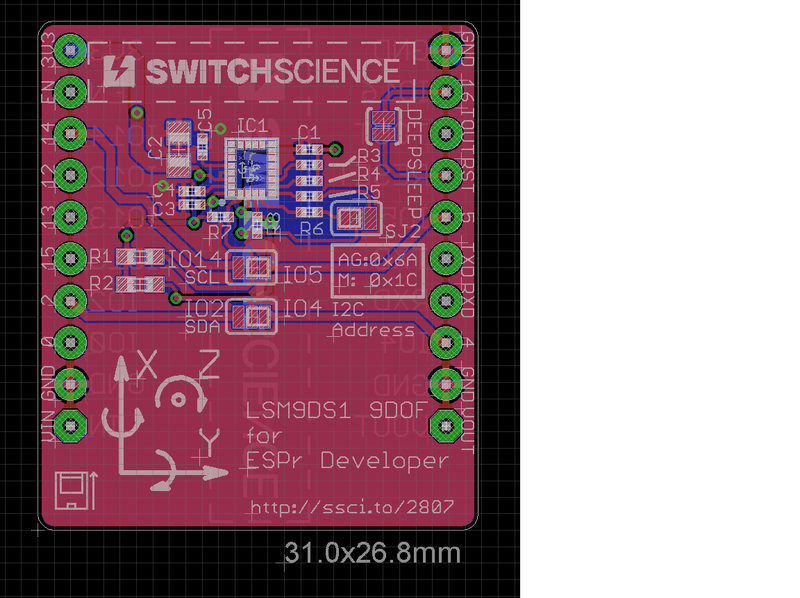 A sensor board equipped with 9 axis sensor LSM9DS1 from ST for ESPr Developer. LSM9DS1 is a 9 axis MEMS sensor equipped with 3 axis Accelerator, 3 Gyrosensor and 3 Magnetometer. 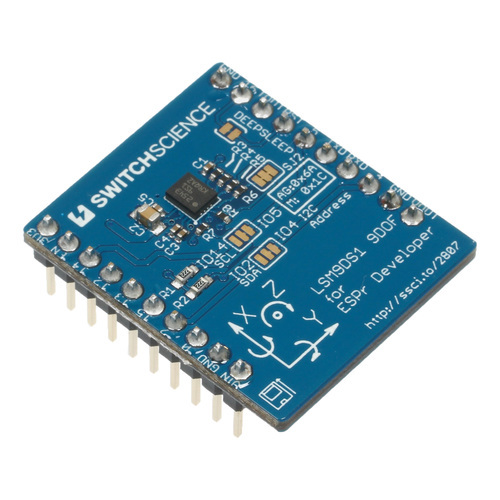 You can connect ESPr Developer with I2C interface. SCL: Jumper to change I2C SCL pin and I/O pin. SDA: Jumper to change I2C SDA pin and I/O pin.